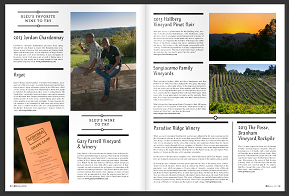 As a result of hosting journalist and editor Lenox Magee during Sonoma County Winegrowers’ Annual 2015 Grape Camp, the article titled, “Just Add Water…” was featured in the 40th issue of the publication. 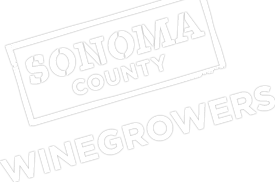 Our partners such as Vintners Inn, Jordan Vineyard & Winery, Gary Farrell Vineyard & Winery, Sangiacomo Family Vineyards, and Paradise Ridge Winery were just a few that were mentioned in the feature article. Bleu Magazine is written for African-American men and serves as a lifestyle guide of fashion, entertainment, travel, good, culture and more. It seeks to entertain, inspire and affirm the lives of its readers. The magazine produces 6 issues a year.